The Bellevue Downtown Association (BDA) will host its 45th Annual Celebration on Thursday, February 7, 2019 at Meydenbauer Center. More than 500 business and community leaders from around the region will celebrate the growth and evolution of Downtown Bellevue. Registration is now open. The celebration will feature two keynote speakers; Margaret A. Meister, President and CEO of Symetra Financial Corporation; and David T. Downey, President and CEO of International Downtown Association. Symetra CEO Margaret Meister leads a growing national life insurer with roots in the Pacific Northwest, $43 billion in assets, 2 million customers and more than 1,000 employees based at its Bellevue headquarters. 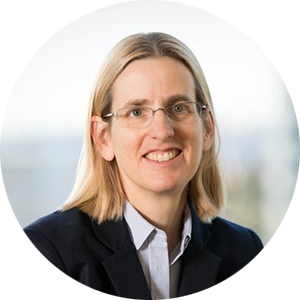 She joined the company as an actuarial student in 1988, rising through the organization to become chief actuary in 2004, chief financial officer in 2006, and president and CEO in 2018. Her leadership and professional achievements have been widely acknowledged. In 2015, she received the Puget Sound Business Journal’s CFO of the Year Leadership Award. Most recently, the Journal recognized her as one of the 2018 Women of Influence. Ms. Meister currently serves on the board of directors of the United Way of King County. A 30-year city advocate, Mr. Downey is an accomplished nonprofit leader in the community building industry. 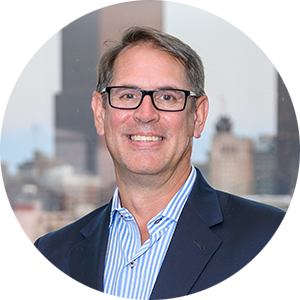 At the International Downtown Association (IDA), he is responsible for the positioning of IDA as a leader and champion for vital and livable urban centers. IDA provides tools, intelligence and strategies for creating healthy and dynamic centers that anchor the well-being of towns, cities and regions of the world. The BDA will honor an organization with a Place Making Award for enhancing Downtown Bellevue’s urban environment and community. Additionally, an outstanding individual will receive the John Boespflug City Builder Award, recognizing a career and legacy of exemplary service to downtown.